Twilight opens up the back gallery to some of the terrifically talented folks from Equinox Studios. We’ll be showing a mixture of artwork from the working members of this metalworkers studio in Georgetown. 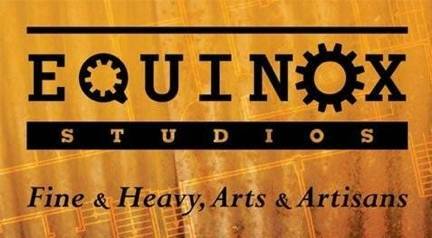 Equinox Studios has given new life to a 1941 industiral building in Georgetown, creating studios and workspace for artists an artisans. Over 30 artists welcome you to experience the building, studios, art, music and more.